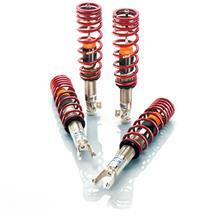 Shop Late Model Restoration for the best selection of 2010-2014 Mustang coilover kits! 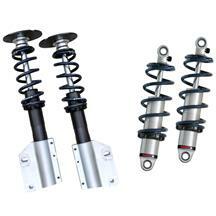 Easily adjust the ride height of your Mustang while getting superior handling with a 2010-2014 Mustang coilover kit from Late Model Restoration! 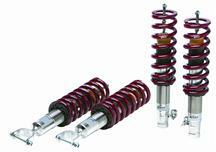 Coilover suspension systems replace your stock shocks, struts, and springs with adjustable coilovers that allow you to make on the go adjustments. 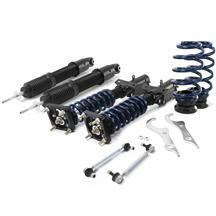 These adjustments can lower or raise your Mustang and allow you to make the ride comfort stiffer or softer for any track situations. 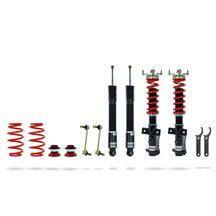 Choose from SVE, Eibach, Maximum Motorsports, and more kits to upgrade your S197 suspension!